Florida has long been considered a magical state, and it also is one of the most popular locations to hold conventions – thanks in part to copious sunshine, award-winning beaches, and tons of attractions around Orlando like Disney World and Universal Studios. 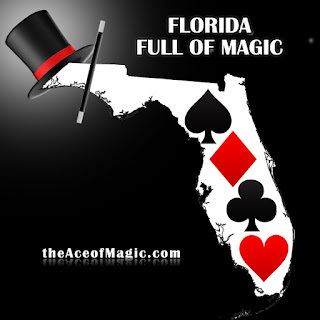 So it’s no surprise that Florida has increasingly become a hotbed for magic conventions, too. In recent years, the Sunshine State has hosted major international magic conventions – not to mention annual state magic conventions in Daytona. Then near the end of each year, there is the annual Daytona Beach Festival of Magic. Magic Conventions hosted by The International Brotherhood of Magicians (IBM) now routinely holds its annual convention in Florida. Magic lovers may also find themselves in the Sunshine State for the annual Genii Conjurors’ Convention – which in past years was held in Orlando, Florida. Every year magicians from all world the world meet in Florida to assist to a Magic Convention. The magic conventions bring with them lectures, vendors, competitions, live shows, contests, dinners, workshops, magic shops, new magicians, new magic creations galas and discussions. Some of the galas and shows are open to the public and magic lovers from all walks of life. So many people flock to these conventions – from professional magicians to amateur magicians, to magic-lovers and the curious who never miss a chance to see a great magic show. Most of the people who attend, though, usually are club members or non-member magicians. As a Florida resident, I can only imagine why these major magic conventions would want to hold their conferences here. Aside from the theme and water parks, Florida is home to hundreds of miles of white-sand beaches, some of the nation’s best convention centers and hotels, and other attractions like the Kennedy Space Center, live entertainment, wildlife refuges and tons of eco-tourism opportunities. The conventions hosting their magic conferences in Florida might be doing so because the state is an increasingly popular and convenient destination for travelers from Europe and Latin America who want to attend the conventions and bring their families along. 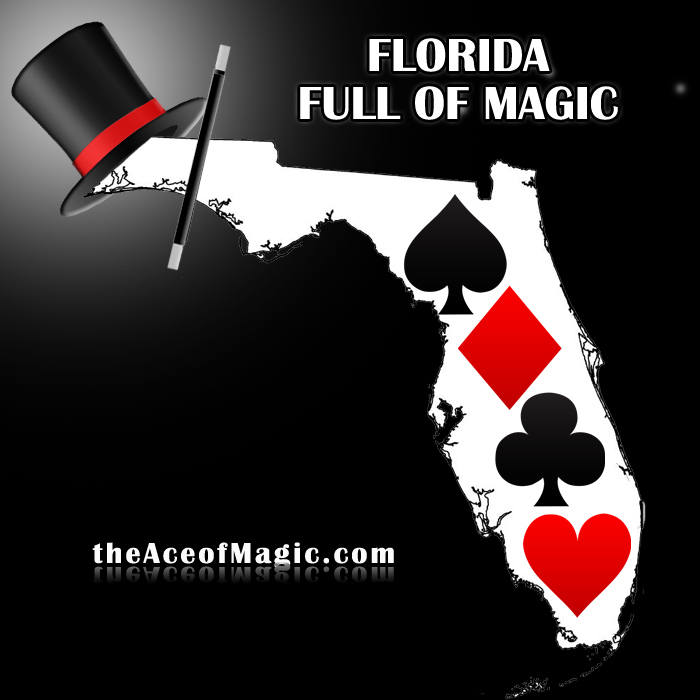 Maybe the concentration of magic conventions in Florida is also a sign of the growing audiences here in the state for magic and live entertainment. In the past, the magic conferences and magic conventions have been a great chance to meet new people with the same love for magic, to hear educational lectures, to learn new tricks, philosophies and approaches. And of course, as a magician, I’m excited to re-charge my batteries by seeing some great performers, lectures, conferences and shows. There’s no question that those of us here in Florida will enjoy all the magic as much as those visiting will enjoy Florida. As far as I’m concerned, in this state, you can never have too much magic! Feel free to contact us to share your magic convention in Florida.